20 million vehicles shipping in 2023 will feature Amazon Alexa, Google Assistant or both - AutoInc. LONDON — (BUSINESS WIRE) — As voice control continues to gain popularity in the home, consumers are increasingly hoping to use Amazon Alexa, Google Assistant, or Apple Siri in the vehicle too. 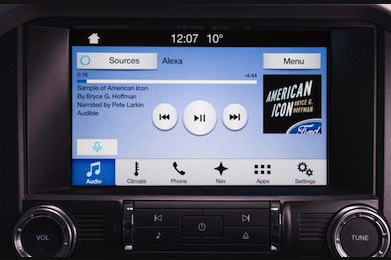 An increasing number of OEMs are now poised to give into popular consumer demands and integrate Amazon Alexa and Google Assistant in-vehicle, without the need for a handset and despite concerns over data and OEM-branding. The historic approach to embedded voice control from OEMs has been to develop their own branded assistant, typically in conjunction with key voice technology supplier, Nuance, that can compete with Amazon Alexa, Google Assistant, and other tech-branded assistants. Some OEMs such as BMW and Audi have now chosen to adopt a new approach of developing an intermodal, multiple assistant systems in which their own OEM-branded assistants sit alongside an Amazon Alexa or Google Assistant. For BMW, the BMW Open Mobility Cloud will enable compatibility for both Amazon Alexa as well as Google Assistant. Key tier one supplier, HARMAN is also enabling OEMs to support both assistants simultaneously through its cloud platform, HARMAN Ignite. These approaches allow OEMs to meet consumer’s requirements of taping into their growing ecosystems outside of automotive, while still maintaining some control over data and branding. Other OEMs, meanwhile, have given up on voice control altogether and are simply providing a single-assistant system developed by Google.